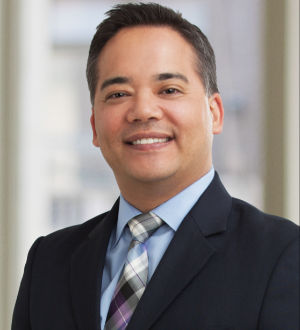 David A. W. Wong is a partner with Barnes & Thornburg where he is a member of the Intellectual Property Department and Chairman of the Internet and Technology Law Group. David's practice focuses on Internet law, technology, media, intellectual property counseling, risk management, prosecution, policing and enforcement. He regularly advises clients on commercial and intellectual property matters, such as trademark, copyright, defamation, trade dress, advertising, right of publicity, trade secret and unfair competition issues. David advises a range of clients from start-ups to multinational corporations, including Internet businesses and online service providers, software developers, computer hardware and device manufacturers, higher education institutions, toy manufacturers, media and publishing companies, automotive companies, clothing retailers and financial institutions. David has represented clients such as Automattic, Inc.; WordPress Foundation; Bitly, Inc.; Digg, Inc.; Etsy, Inc.; Tumblr, Inc.; OpenTable, Inc.; Fourquare Labs, Inc.; Revision3 Corporation; and TokBox, Inc. in Internet-related matters. He has expertise in matters relating to international Internet brand protection and licensing; UDRP, ACPA, and foreign domain name proceedings; domain name acquisition and protection; DMCA and copyright enforcement; online service agreements and terms of service; online privacy, security, defamation, technology and content licensing matters; online marketing and advertising issues; and addressing Internet fraud, diversion, phishing, hackingand online theft. His practice includes prosecution of trademark registrations and enforcement of trademark rights in the U.S. and in foreign jurisdictions, drafting and negotiating of intellectual property-related licenses and other contracts. Mr. Wong also has significant experience handling litigious matters involving trademark infringement, copyright infringement, fraud, right of publicity, privacy and defamation issues, trade secrets, domain names and other Internet-related disputes. David's practice also includes virtually all aspects of copyright law, including copyright eligibility, registration, ownership issues, licensing and addressing copyright infringement. Prior to joining Barnes & Thornburg, David served as the Senior Copyright Analyst at the Copyright Management Center. His duties included providing guidance with respect to the relationship between copyright law and the research, teaching, and overall mission of the University community through workshops, seminars and writings. David has been recognized by The Best Lawyers in America for his work in the area of trademark law.